This book starts out with a bit of a flawed premise, and I found it distracting. Apparently, all sisters are expected to be the same, even if they look nothing alike, dress differently, and are different ages. I have a sister, and I don't recall anybody ever expecting us to be the same; in fact, it was pretty much a given that we would be different. So I couldn't quite wrap my brain around the beginning of this book, and it distracted me throughout. If the author wanted to go with that premise, she should've made the girls twins (because there is sometimes an expectation--no matter how unfair--of similarity in that situation). 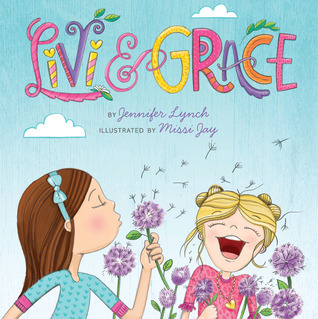 Basically, the rest of the book is just rhyming verse about all of Livi and Grace's differences. One is quiet, one is louder. One is neat, one is not. One paints realistically, the other is more expressionistic. That's all fine. But it does start to get a little tiresome after a while. Even though the book is only 32 pages, I found myself sort of checking my metaphorical watch as I was reading, wondering when I was going to get to the end. Yes, sisters (all people, really) are different. We get it. Most readers will probably get it after the first few pages. 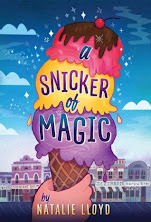 While this book has a nice message about everyone being different (and how that's a good thing), the reader is kind of hit over the head with it. The book probably could've been half as long and still gotten the message across. Thank you to NetGalley and Greenleaf Book Group Press for providing a digital ARC.